One of my favourite mantras is that you only improve your cycling when you set a goal, and a mass participation bike ride is a great target to set for new cyclists, as well as seasoned ones. There are a number of them around Australia, most are in scenic locations. Here’s a selection of the ones I’ve done before. I’m sure there are plenty of others so please share your experiences. An added bonus of many of these rides is that they are involved with charity partners so participants have the opportunity to help fundraise at the same time. The annual Spring Cycle ride, run by Bicycle NSW is on Sunday, 16 October 2016. It has three distance options – 12 km, 50 km or 105 km and all the rides go across the Sydney Harbour shortly after leaving North Sydney. The 50 km option is a great ride for beginners, with the 105 km ride if you want more of a challenge. Make sure you arrive nice and early and get close to the front. The Gong ride is an institution amongst Sydney cyclists. This year it’s on Sunday, 6 November 2016 with a 58 km or 90 km option. 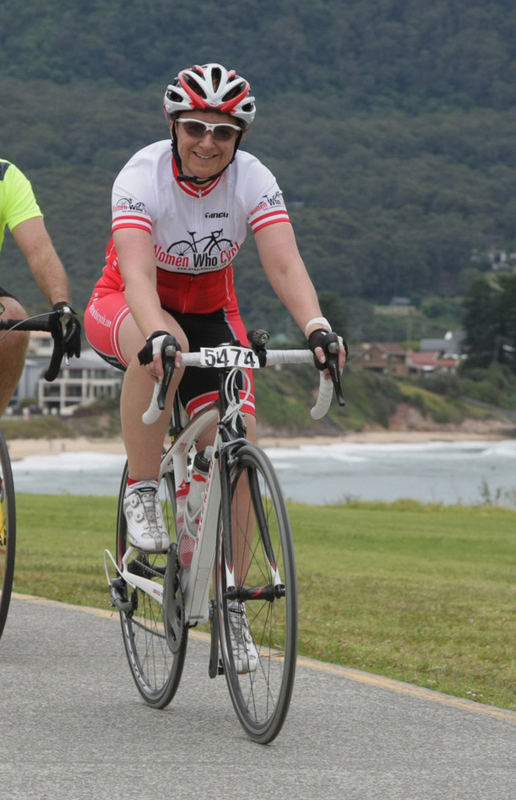 It’s challenging without being too difficult for the average fit cyclists and takes in the beautiful Royal National Park and the stunning coastline. As with the Spring Cycle start early if you want to avoid the crush. The ever popular ride around Port Phillip takes place on Sunday, 9 October 2016 this year. It includes no less than nine options from 20 km to 250 km. I’ve previously done one of the 100 km options (Sorrento to Melbourne) and the 210 km anti-clockwise loop. Both were great rides. It’s a well run event and allows you to challenge yourself by stepping up the distance. This ride is piggy-backed onto the relatively new Cadel Evan’s Great Ocean Road Race which started just two years ago. The next People’s ride will be held on Saturday, 28 January 2017 with a 65 km or 111 km option. As you would expect from a professional road ride course, it is relatively challenging with some significant hills towards the end. An added bonus is the professional rides for both men and women that you can watch once you’ve finished your ride. This ride is in a spectacular part of the world and will next take place on Sunday, 18 March 2017. It has a 30 km, 60 km, 145 km or 204 km ride and I’ve previously done the 60 km version which is great for relatively new cyclists, as I was when I completed it seven years ago. Each year as part of the Tour Down Under (TDU) there’s a mass participation ride prior to Stage 4 of the TDU. Next year it will take place on Friday, 20 January 2017 with a 30 km, 58 km, 111 km, 157.5 km. I’ve done this ride on two occasions and each year the course changes. As you would expect the full ride of 157.5 km from Norwood to Campbelltown is pretty challenging because it’s the course the professional riders follow later in the day. I’ve not done the annual Brisbane to Gold Coast Challenge which will be held this year on Sunday, 16 October 2016. It has a 60 km or 100 km and the organisers describe the course as mostly flat with less than 450 metres of climbing over the 100 km course. I’m sure there are other rides around Australia. You might also want to check out Amy’s Gran Fondo in Victoria which ran last weekend and the Bowral Classic in NSW in October. Tell us about others mass participation bike rides that I haven’t included here? Previous Post:Female cyclists – Why not give bib shorts a go? Nicole, i agree, these rides are great fun, and great goals. Along with some of these I’d add Lake Macquaries Loop the Lake. This is a Rotary Club event. Central Coast Rotary also host the Century ride. Other Rotary clubs host rides too, like Coffs Harbour… check these out. I have often made a weekend out of Amys Big Bike ride in Canberra, a challenging hills ride but really beautiful. Al, of these are social, while there are some compeitive riders, the intention is to have a fun and social experience. Our favourite ride of the year is the Newcastle Overnight Ride. A huge adventure with wonderfully eccentric people -you start at Observatory Hill in Sydney at 9pm, ride over the Harbour Bridge -it is always organised to be under a full moon and continue up the Pacific Highway -chatting all the way. It is a stunning ride with tea stops manned by lovely people -tea, coffee, hot chocolate, cakes, cookies, fruit…..you get to ride the Fernleigh Cycling track into Newcastle which is beautiful – swooping owls and bush either side all the way. The roads are virtually empty of all traffic. It is very well organised – in conjunction with Audax. Cost: @ $15. Finishes at Newcastle baths -the cafe opens early for food and coffees. Some people stay and swim at the baths and watch the sun rise. We usually catch the first train back to Sydney and cycle home. All sorts of bikes, people, footwear and cycle wear. We have ridden with guys on fixed gear bikes, a BMX, folding bikes, bikes with milk crates, panniers or trailers on the back….anything goes.